[XPB-BEWHUS-X] Toilet Room Urinal Screens are packaged for expediting to your job location in approximately one week anywhere in the continental U.S. 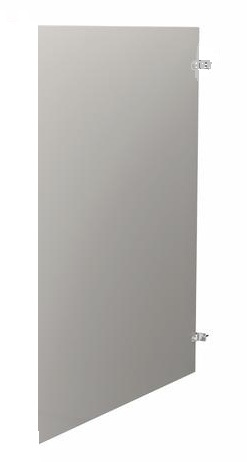 These urinal screens are available in three (3) color choices, Warm Gray, Almond or White. Screens are 42" High and choose from 12", 18" and 24" Depths. For a larger variety of urinal screen materials and color choices, please refer to our production selection. We are here to make it quick and easy for you. For shipping quotes, specifications, orders or questions please call our Customer Service Center at 1-877-483-9270.